The Zoom Flex and Zoom 3,4 & 5 can use the Zoom square steel base for maximum stability for indoor or outdoor use. 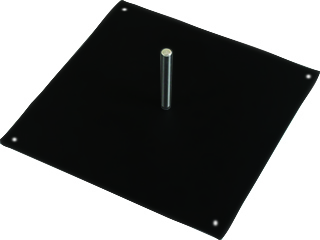 We recommend adding the Zoom water ring base support as well and it is included in the price for this stand. Zoom hardware, including the base options come with a 1 year manufacturer warranty and can be used for years and years.